QOMO has started shipping a new 2-megapixel document camera. The QOMO QD6100SX boasts a professional-grade 10x optical zoom lens and motorized camera head for scrolling of documents, photos, and more. It incorporates multimedia switching, a video scaler, and projector control and can connect two Mac OS X or Windows computers (with audio), a DVD player, and a VCR directly. Only one VGA cable is needed to connect to display devices or projectors. 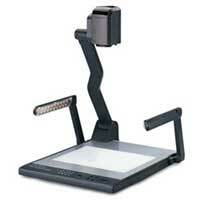 The new document camera has USB 2.0 and internal image storage of up to nine high resolution images. It's available for about $1,800.